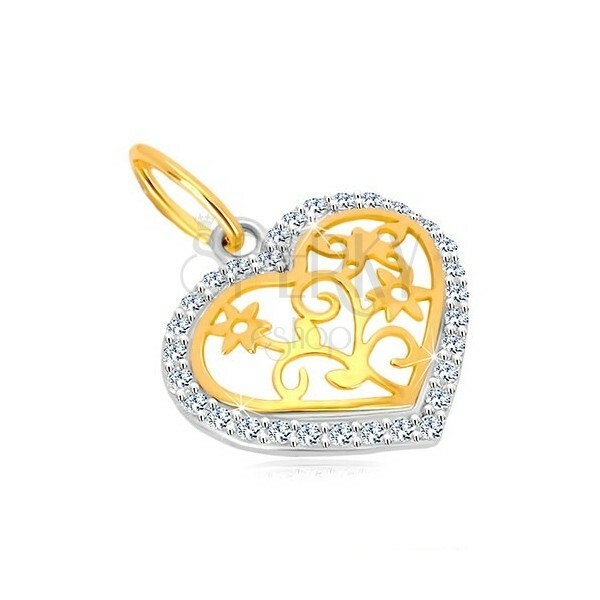 Combined 585 gold pendantt - heart contour of white gold inlaid with zircons, glossy notch of yellow gold in the centre. By buying this product you can collect up to 64 points as a voucher of 12,80 €. Your reward points. 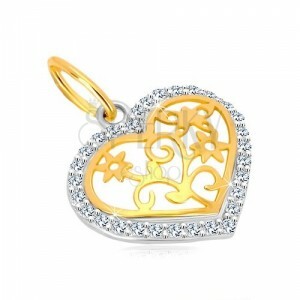 Glossy pendant is made of combined 14K gold and it has a shape of symmetric heart. 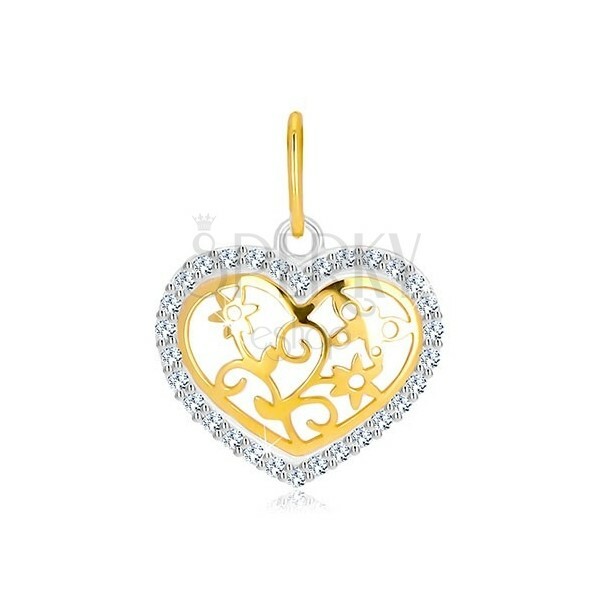 Heart contour is of white gold into which round cut zircons of clear colour are embedded. The centre is decorated with notch of flower motif with slightly twisted leaves and small butterfly. Pendant clasp is thin and it has oval shape.